login Start 7-day trial now! Free Trial VPS Server & Up to $250 deposit bonus! Last week 1299 customers started with us! The world's best and fastest KVM VPS. Guaranteed the best I/O performance! Deploy your scalable and Managed VPS within 55 seconds on our cloud infrastructure platform. Focused on performance and redundancy. Our virtual private servers are amazing fast with our powerful infrastructure and native SSDs to provide high performance. Fast reliable 40Gbit Mellanox network with high-end Intel E5-269X processors. No more bottlenecks. No downtime. Pure high availability cloud servers guaranteed. Our control panel is providing many features like viewing your console, reboot, restart, reinstall, change your OS, firewall and more. Easily deploy your VPS now. Amazing benchmark score provided by the VPS community. 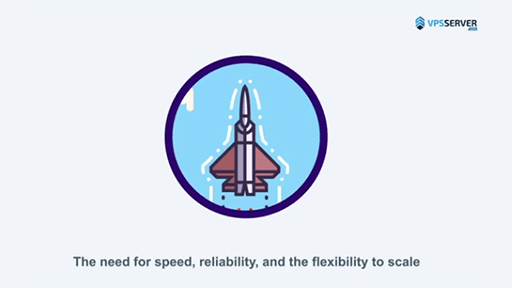 Our scalable cloud computing platform is faster. Much faster. Built for high I/O performance. Why 3-Way SSD storage replication? 3-Way storage replication on our cloud hosting platform. 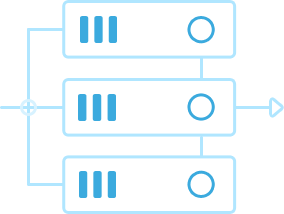 Virtual Private Servers stored on three different servers at the same time. Much safer than a RAID system. Because RAID is only stored on one hosting server. Fast Simple Setup. Easy to Use VPS. 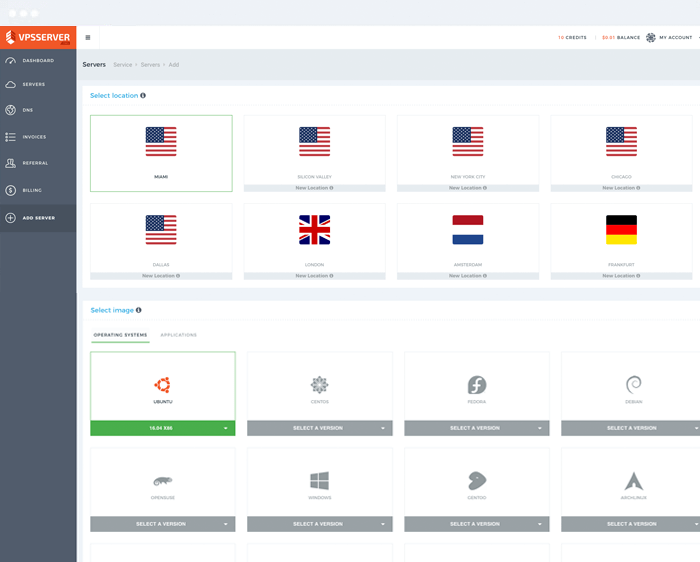 Deploy fast and setup any Linux or Windows VPS with our control panel. We've got your back and provide 24/7 live chat support! Get your server covered with a managed service level agreement. 24/7 Technical support. We've created the next level performance Windows and Linux VPS. Cloud computing for developers, innovative startups, businesses and many more. They have the speed, reliability, and the flexibility. Scale as your computing needs and business grows. We offer the best scalable, no-contract servers that you can cancel anytime. Video: Choose the best worldwide VPS Server How to choose the best VPS Server? Your browser is not supporting HTML5. Please download the video. Enjoy state of the art performance that delivers blazing fast read, write and i/o speeds. Most VPS hosts are still using old RAID systems, which are slow. VPSServer.com utilizes 3-way storage hosting. This means your server is always stored on three different servers. Keeping your data safe and secure. Providing our service worldwide and always nearby the location you want. Our locations consist of powerful servers combined with 24/7 live chat support by our team. Focus on your running business, instead of worrying about server management. Try our servers now free of charge and experience the benefits. What are the customer thoughts about VPSServer.com? I'v tested some other top VPS Providers/resellers (AWS, Digital Ocean, Vultr, etc.) and find that VPSServer.com offer highest performance/price ratio on market. One of the highest (top 3) IOPS, Unixbench and Network perfomance at lowest price from my research. Setting up server with operating systems is matter of few minutes. Managing is simple and clear. I am an expert in web development and design. So far in the last couple of months I couldn't ask for better! Services are on spot, uptime is on spot! I have everything I need right where it is. I was running a small private weather website in AWS and the satellite images got "picked up" by a news website and they regularly use them during major weather evenings. AWS' 12c per GB of outbound network traffic made things expensive and VPSServer makes this a lot more manageable and has excellent data volumes included with the price of the VPS. I also get many more CPUs for the price compared to AWS, so I am a happy customer. Start now for as low as $4,99 a month! Our VPS is reviewed by 1256 customers with an 9.5 out of 10. Copyright 2019 Global Cloud Infrastructure. All rights reserved.